Two years ago the College of University Libraries and Learning Sciences held a formal celebration to commemorate the acquisition of three million books. It took the University of New Mexico more than 120 years to accumulate that collection. 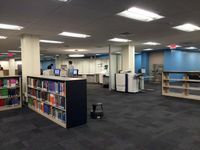 Zimmerman Library opened a renovated collaborative space for students on the eastern end of the first floor on August 17th. 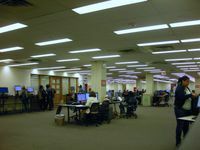 The Zimmerman Library Learning Commons has many of the features suggested by students.